The Air Force is losing its people. They’re bailing out. The generals are asking how they can reverse this flow and once again make the service a place people want to stay. Part of the answer is that it must deal seriously and swiftly with toxic leadership, and make it clear the Air Force is no place for professional bullies. Not getting at this problem has been the major failure of the last decade. Before the problem can be solved, we have to change and complicate how we think about it. First, we have to stop using the term “toxic.” It’s too vague, which leaves room for rationalizing that someone is or is not toxic. Abusive is what we really mean, and that’s what we should say. Abuse of people, position, or power cannot be permitted among commanders. Clear examples of abuse of people include public shaming, collective punishment, and personal attacks. In all cases, these are wrong no matter what is motivating them. More subtle examples might include weekend recalls, mass liberty restrictions, mass drug tests, and uniform policies or inspections. These are not always abusive. It matters what is motivating them. If they’re done to everyone as a response to frustration over the conduct of one or a few people, they’re abusive. Abuse of position is all about pretext. Under the guise of doing something legitimate, a commander uses the special trust and confidence that derive from his position to concoct unnecessary rules, to devise over broad or extreme control and monitoring schemes, or to develop inappropriate leverage to distort bargaining power or smother individual agency. This is tough to spot and even tougher to prove, precisely because commanders are presumed trustworthy and because there are always legitimate rationales that can be used as cover to conceal the pretext. For example, if a commander insists on straight rather than curly apostrophes because, he argues, it is part of creating the most excellent performance reports, he is likely abusing his position to enforce a personal preference under the guise of a legitimate purpose. If a commander outlaws electronic cigarettes in tent city because, he argues, the batteries used to power them pose a particular fire hazard, he is likely abusing his position unless he also outlaws cellphones that use similar batteries. He obviously just doesn’t want people vaping. The same logic extends to General Order Number One, which has long been used to enforce the personal preferences of senior officers and to help make their jobs easier rather than for any legitimate military purpose. Wherever you see the phrase “good order and discipline,” be alert for abuse of position. This is the calling card of the master bureaucrat, who by his very nature hijacks the rule book and uses it to fulfill illegitimate and usually unstated purposes. In today’s Air Force, the rules are used to create appearances that gain the Air Force political and budgetary favor, with the dignity and agency of the airmen subjected to those rules not even registering as afterthoughts. Abuse of power is the most serious form of abuse, and that which can have the most disproportionate and lasting effect on the morale and discipline of the Air Force, which are inextricably linked. The nature of power is that it cannot be meaningfully resisted or challenged. It is exerted with impunity, which means that the only constraint on the wielder is that person’s commitment to its responsible and ethical exertion. 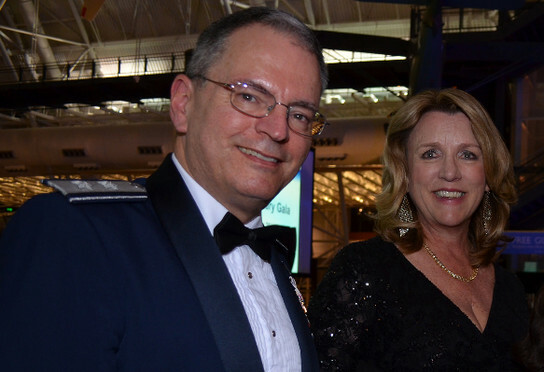 In the Air Force, commanders are given considerable powers impacting the lives and livelihoods of fellow airmen. The powers to punish, prosecute, investigate, and relieve are most prominent among those. Improper exertion of these powers is abuse, as is the failure to exercise these powers when it is appropriate to do so for the sake protecting a crony, a tribe, or one’s own image. When one airman is less subject to the exertion of power than another because of an improper motivation, abuse is present. 4 Comments on "Air Force Will Continue to Lose People Until it Deals with Toxic Commanders"
Oversight brings transparency, and transparency brings accountability. And, the opposite is true. This is something the CAP lacks in its entirety. They are going to try to set you up with a BS story. They may have already done this to Skip Munger’s NOTF. It was fun today to see Joe Vazquez and Tom Kettell spin yarns at the Montana Wing (or large squadron) conference. Sometimes I wonder if these people actually believe what they say or if they just make it up as they go and hope the unwashed masses will shout AMEN. Clearly Kittell is yearning and lobbying for his star in a few months. He was full of promises and fairy dust to sprinkle around. One would have thought he was a command pilot or master incident commander and had hundreds, if not thousands, of missions under his belt. Sadly, no one really knew what to say and most of the crowd was newly recruited members anyway so they had not been exposed to this level of baffoonery. The clear winner in Montana is their outgoing commander Nolen Teel. Kittell wanted Teel to be the RMR vice commander to lend some remote credibility to the RMR staff but Teel was clearly excited to tell everyone about his ASAP move back to Texas. One wonders if Teel grabbed the opportunity to take a lifeline off the sinking RMR paddleboat. Kittell was in his element with Vazquez giving all kinds of things will be better comments and telling everyone we can make RMR great again. No one really could figure out just where he is guiding the boat. The main rumor is now that the dupe in Utah will end his command soon and become Kittell’s number one deputy and when the star comes Kittells way he will just slide another toxic commander into the top RMR job. It was so sparkly and giddy at the conference I kept waiting for Vazquez and Kittell to pull out their magic wands and remind everyone that Voldemort is safely in Azkaban. How do I know these toxic leaders are sprinkling magic dust on the huddled masses? Just watch them. If their lips are moving, it’s all magical tripe. The Criminal Air Patrol does nothing at this point but burn through taxpayer dollars to lie, cheat, and steal credit for things that they either did not do, or that never happened. Hell, even CAPTalk.net has nothing to talk about… other than selecting a bag to carry your stuff around in, or what the oldest uniform discussion is… there is nothing happening. However, CAPTalk.net did mention that the school programs are pretty much dead on arrival, and they went through why that is. Not too shabby, discussing why the organization is dead from every angle. Word on the Street has it that a number of investigations into the Criminal Air Patrol are taking place, or spooling up to take place. Reports of additional issues, additional reports, and additional awareness have been spooling up for a few months now. The crazy thing is that we have hard evidence, from CAP’s records, that the Colorado “save” is a lie… hell, the records themselves prove the lie – they CONTAIN the lie within them! Then, after CAP Insights blasted them for that, Mark “SCUMBAG” Young, actually dragged a news team with him to steal the glory of a “save” that CAP had nothing to do with. We proved that they had nothing to do with it… and then Mark “SCUMBAG” Young takes credit for it with a news crew… those are some very large balls! We – frankly – have no idea how Young can walk with a nut sack that big! NOT NRAT, NOT the Criminal Air Patrol… nope, “THEY!” They had been the controller, and the pilots recruited to look for the downed aircraft on approach to Eagle. And, you’ve seen the news story where Mark “SCUMBAG” Young, on behalf of the NRAT “team” and the CrAP NHQ actually goes to the couple to claim the “save,” having NOTHING to do with it at all… mind numbing stuff! This is Fraud, taking any funding for it is Waste, and Abuse of taxpayer dollars, and likely a crime – but someone else has to push that issue… they likely have a bailout plan for that one! Still, the Criminal Air Patrol continues to march on, like this is going to wash away… the scumbaggery that has festered into positions of authority in CrAP, and on the BoG, is unique. It will be interesting to see if Congress does ANYTHING about it… or, if the membership actually gets together and votes them all out of office instantly through massive NON RENEWALS of membership. Renewing in such an incredibly corrupt organization – at this point – really drives home how much of a bad decision that would be… at some point, it just demonstrates the individual members poor choices of association… good luck with that.